This handy L shape corner shower basket is ideal for shower storage. This shower basket is part of a designer shower accessories collection that is considered the best quality in the UK. We have been selling this collection for nearly ten years and have never had a quality or corrosion warranty claim. 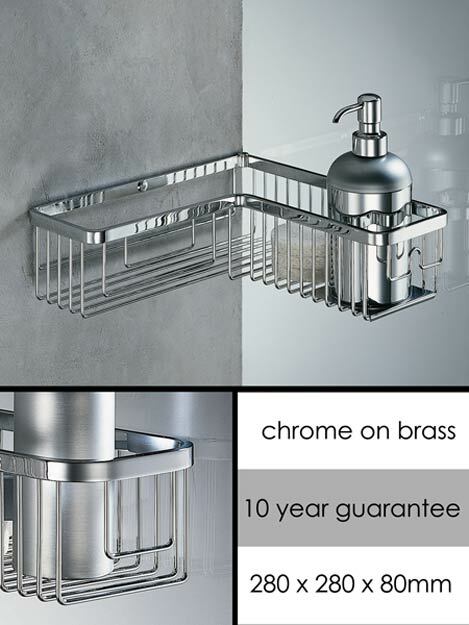 All double shower basket are supplied with a manufacturer 10 year guarantee.